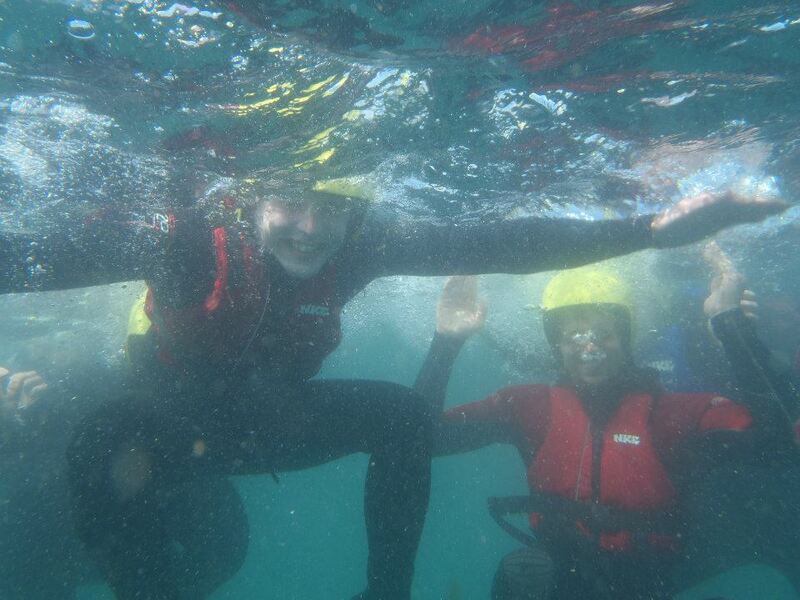 What is Coasteering, Jumping into the Sea for Fun! You may have heard a new word in association with adventure holidays. “Coasteering” is a relatively new activity that has been developed to suit the ever more adventurous tastes and abilities of today’s vacationing public. While extreme sports are still basically attractive only to those who enjoy a dangerous activity, coasteering offers some of the same thrills without the danger. Ok, so “quadrathalon” is a made up word. But, “decathalon” is not! And, “decathalon” refers to 10 activities. So, “quadrathalon” refers to 4 activities. 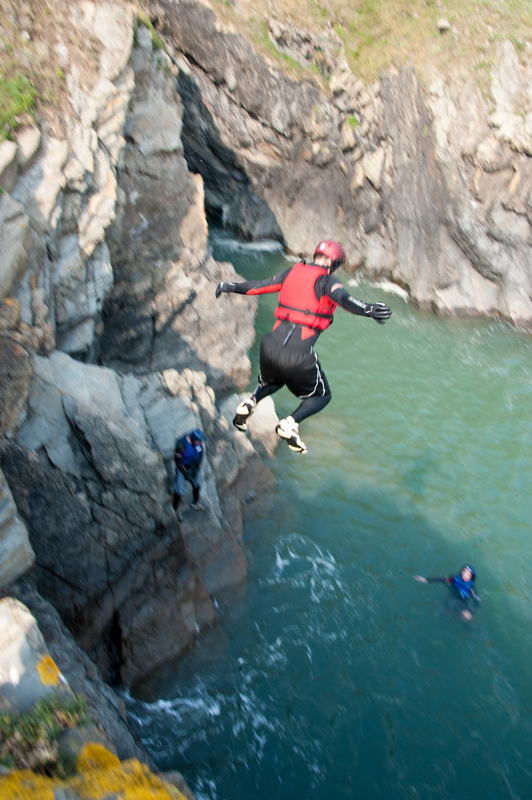 With coasteering, the four activities are swimming, hiking, climbing, and jumping. The great thing about coasteering is that, if you are not so physically fit, it can be geared to allow you to participate in any number of the events. For instance, if you can’t climb, you don’t have to. 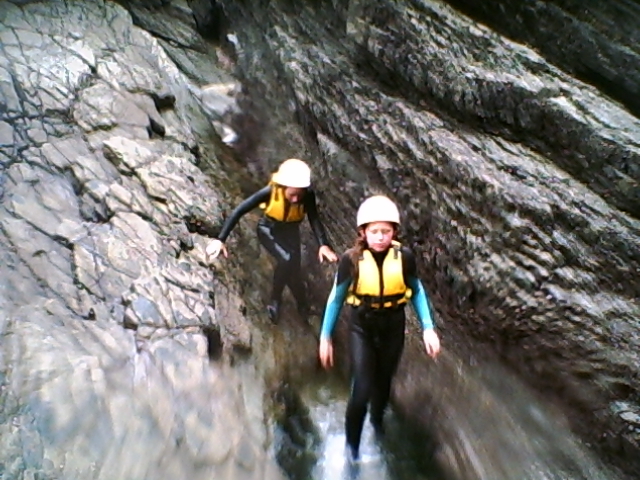 Coasteering involves a certain amount of climbing. The coast of North Devon is rugged, with many overhanging cliffs and natural jetties that just beg to challenge you. You need special gear to tackle these rocks, because they will be encrusted with barnacles. They are wet, too. So, check with your guide to find out what kind of gear you need. At Active Escapes in Devon, you can rent almost all of the gear you will need for your coasteering holiday. Just when you thought you might be able to handle climbing cliffs and rocks, you find out you have to jump off! That’s right, your guide knows all of the safe places which, with the right stage of the tide, provide great cliff diving opportunities. You never thought coasteering would involve cliff diving, did you? Well, even if you did, the guides at Active Escapes will make sure you are outfitted properly and only dive in the locations where they know it is safe to do so. There is a certain amount of hiking involved in coasteering, too. Hiking shoes are a must, because you will encounter some barnacle covered surfaces and sharp rocks. Proper hiking shoes will give you the purchase you need and protect your feet and ankles. Think of coasteering as a challenging hike in the mountains, complete with a swim and diving. And, at the end of the evening, you can enjoy a great meal cooked on a campfire. You can even take classes on how to do the campfire cooking, yourself! Coasteering may not be for everybody, but remember – it can be crafted to fit the needs and abilities of your group. 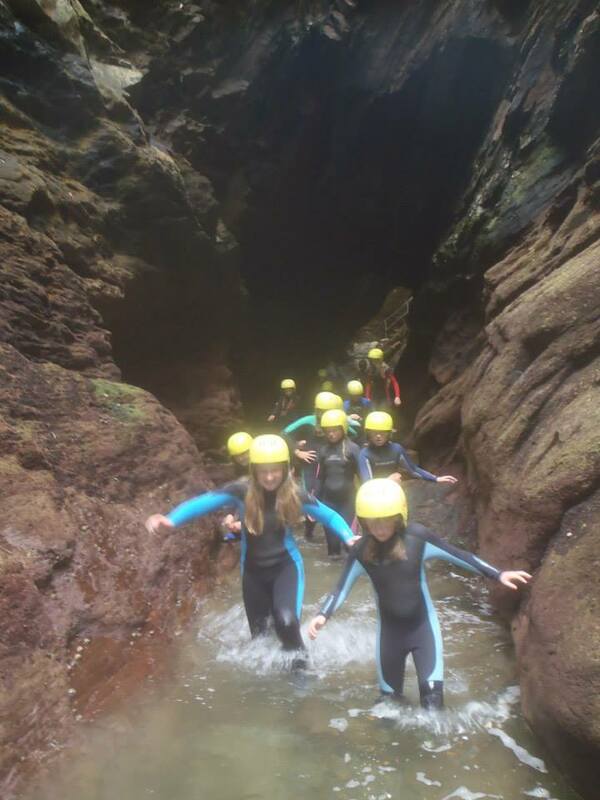 Stag and Hen parties often book coasteering adventures, and families participate as well.